Brookfield Multiplex has been appointed to construct Australian Nursing and Midwifery Federation’s (ANMF) new multimillion dollar mixed-use commercial development in Melbourne’s CBD. 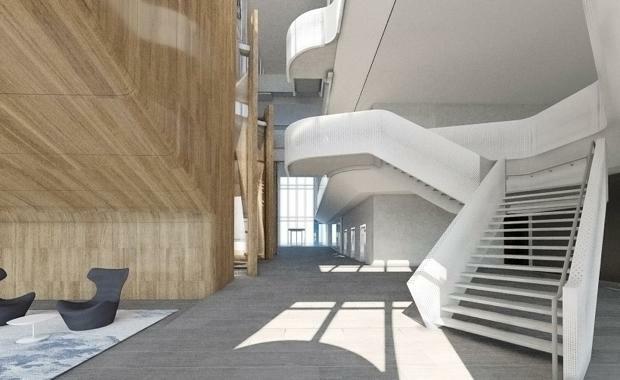 Located at 535 Elizabeth Street, the new 15,722 square metre building will span 10 levels and will become ANMF’s Head Office, featuring a 400 seat auditorium with educational facilities including a library, student hub, simulation laboratories and classrooms. The heritage facades on Elizabeth Street and O’Connell Street will be retained during construction. “We are delighted to be appointed to deliver this commercial office project for ANMF. We have extensive experience in the restoration of heritage buildings, including 171 Collins Street, Melbourne and the award-winning project at 50 Martin Place, Sydney,” said Brookfield Multiplex Regional Managing Director Graham Cottam. The building will also comprise two levels of basement car parking and six levels of PCA A grade office tower, three of which ANMF will offer for lease. Crone Architects has designed a flexible floorplan to provide the possibility of multiple tenants per floor in the future and target a 5 star As-Built rating under the Green Star Office Version 3 tool. Construction is scheduled for completion by September, 2017. Brookfield Multiplex has completed several commercial projects across Melbourne in the past two years including Cbus Properties' Medibank office at 720 Bourke Street and National Australia Bank building at 700 Bourke Street. It also has over $800 million worth of residential projects currently under construction in Melbourne including Platinum Tower in Southbank along with Australis and Melbourne One in the CBD.